A spicy mix of baby lettuces, kale, and mustard greens. Flavorful salads and sandwich toppers. 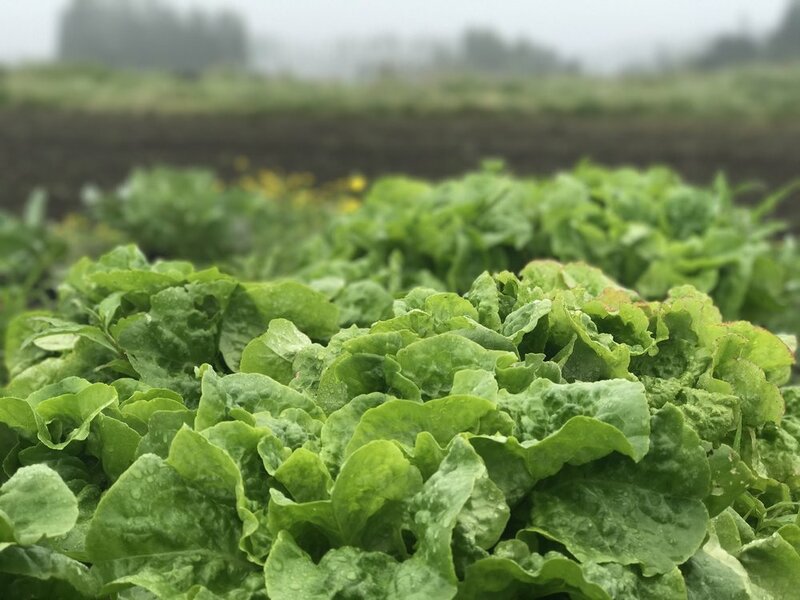 A sweet, crunchy head lettuce. Great for lettuce wraps or a mild salad. A hearty salad green that is just as good cooked as it is raw. Packed with nutrients and an earthy flavor, it's a great addition to any meal. 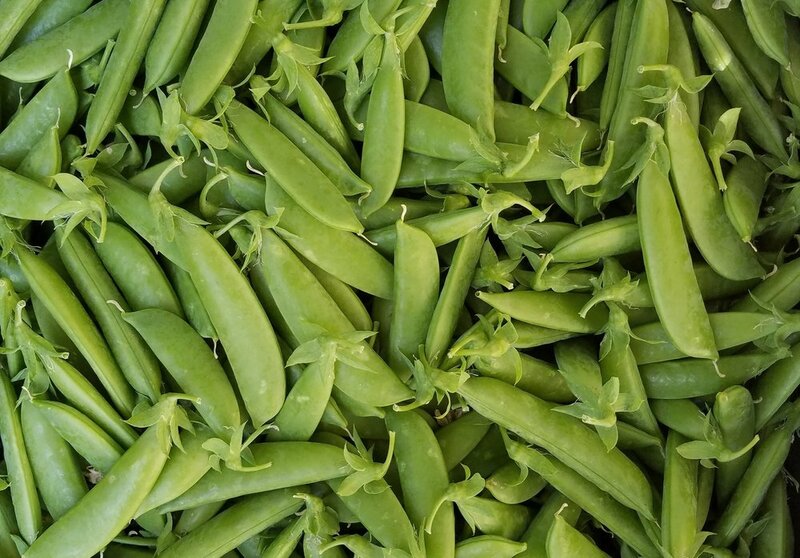 Tender baby legume plants have a sweet, nutty flavor similar to their full grown relatives. These tasty sprouts are a great on everything. A mix of baby greens and herbs harvested while still young and tender. A mix of flavors makes them great as sandwich toppers, perfect on eggs, or tossed in your next salad. 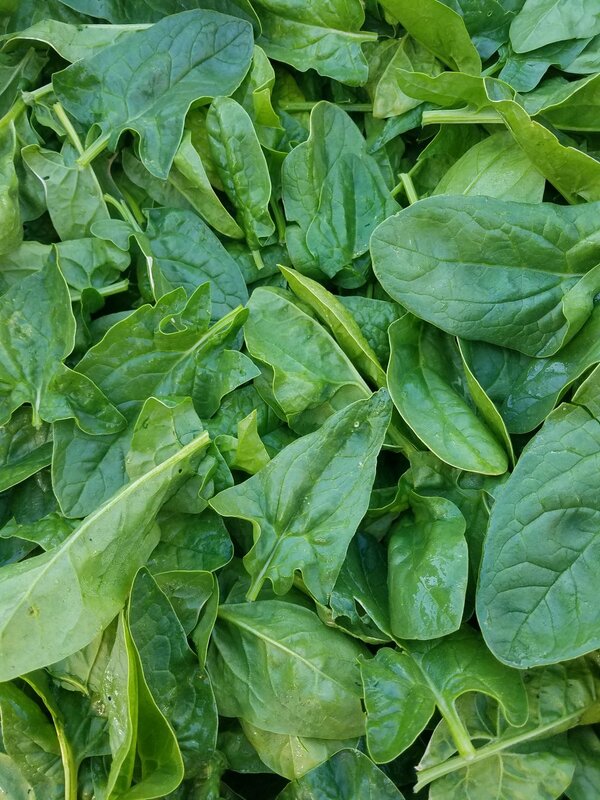 These dense heads of sweet leafy greens ad a mild crunch to meals. Essential in cabbage rolls, coleslaw, and sauerkraut. 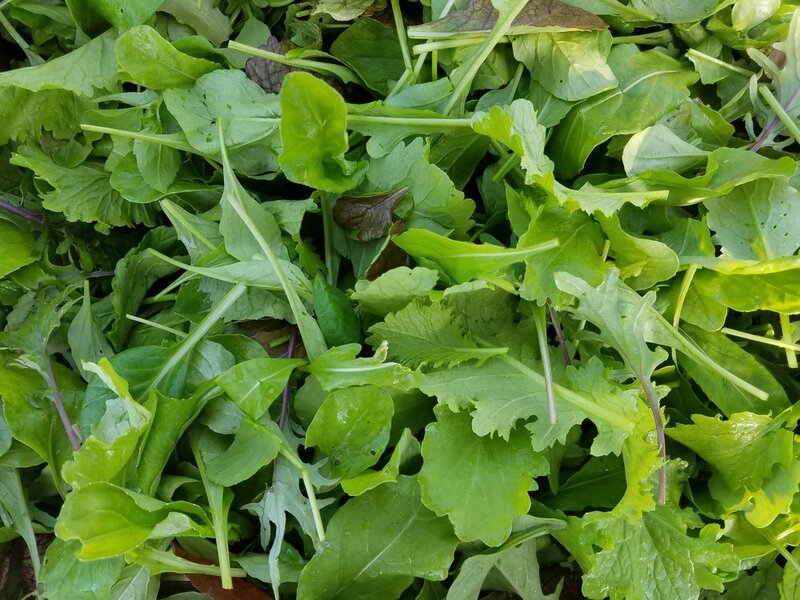 Our Mesclun salad mix all grown up. Big spicy mustards, kale, and tatsoi greens. Best when sautéed or mix into omletes, pastas, and soup. 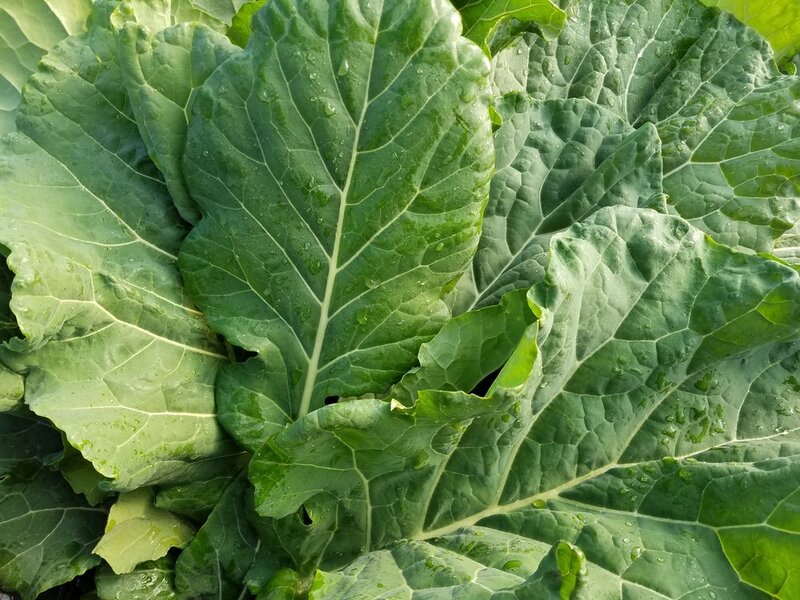 Mixed varieties with tangy, fiberous leaves. Pairs well with fall flavors like garlic, onions, apples, or squash. 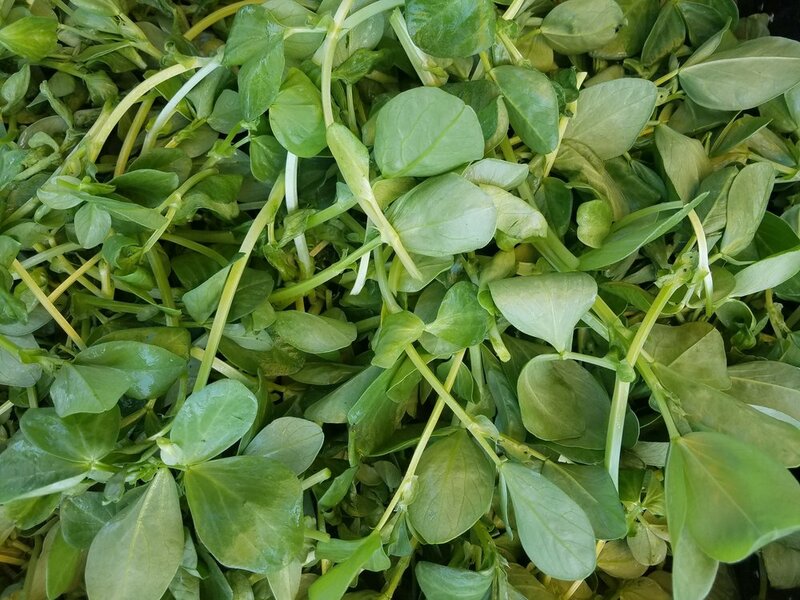 Great in soups, salads, or stir frys. A southern staple that is perfect when stewed with garlic and onions. Use in place of kale or cabbage in any meal. 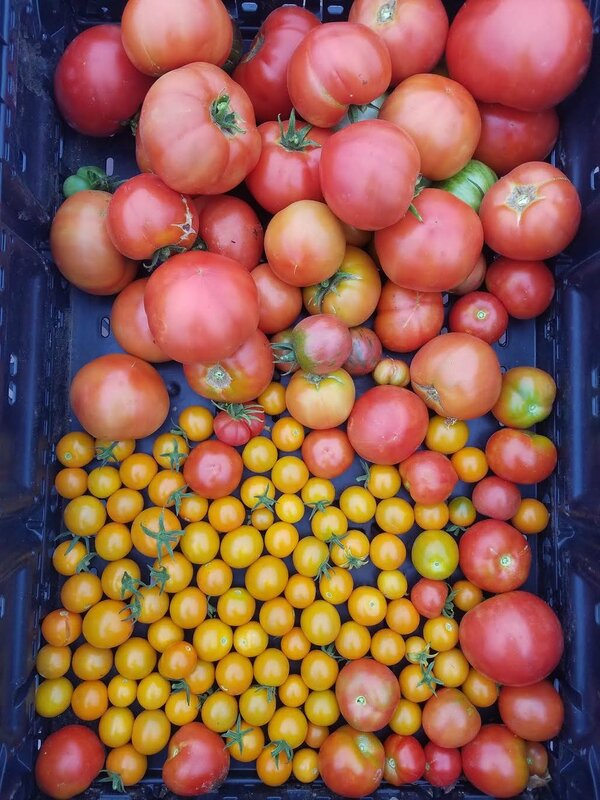 Several varieties with different sizes, shapes, colors, and flavor profiles. The sky's the limit. Raw or cooked, sauced or stewed, roasted or fried, tomatoes are infinitely versatile. A tangy, tart relative of the tomato that is prized in Mexican and South western food. Unique addition to salads and pastas. Essential in salsa verde or gazpacho verde. This sweet, tangy relative of the tomato is more berry-like than it's distant cousin. Peel off the paper husk and snack away. Makes amazing pies and jams. 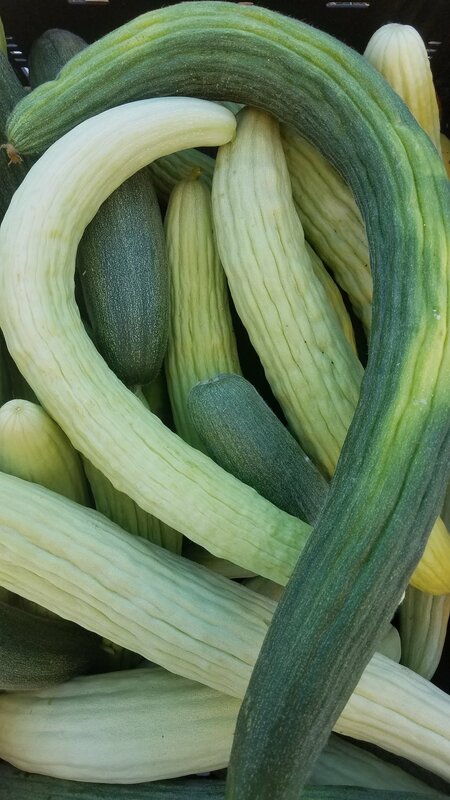 Also known as Serpent Melon, they have a fantastic crunch that lends itself nicely to salads and pickles. Also terrific in chilled soups or smoothies. 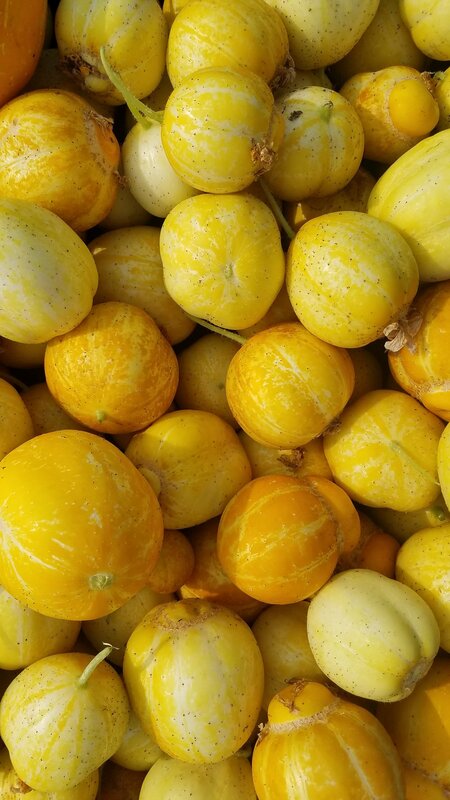 These berry sized relatives of the cucumber have a slightly citrus taste. Perfect pickle berries, mixed into salads, or a quick snack. 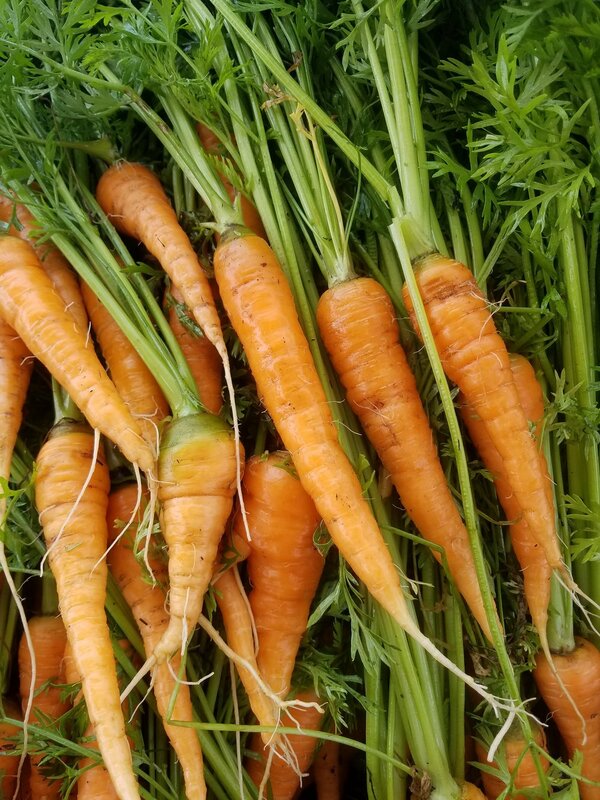 A crisp root vegetable that adds crunch and spiciness to any dish.Primarily eaten raw in salads, or on top of sandwiches, tacos, or stir frys. They make great pickles too. Mild tasting turnips are great raw in salads or thrown into your next soup. Try them roasted, buttered, or mashed. A heirloom French variety that has a sweet, earthy flavor and stays crisp even when cooked. Elevate your salads, coleslaw, and soups with this delicious staple crop. These buttery heirloom fingerlings are the oldest potato variety grown in the Pacific North West. Great roasted, fried, sauteed, or mashed. 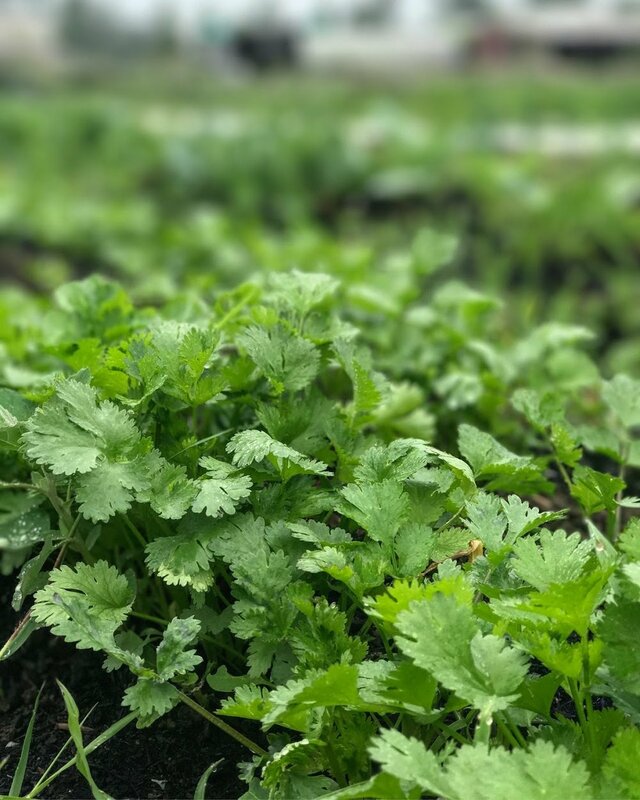 A popular herb throughout the world for it's versatile, fresh flavor. Add to salsas, soups, salads, or rub on meat. A heat loving, aromatic herb that adds complexity to Italian dishes. Blend into pesto. Essential in tomato sauce or caprese salad. Keeps best in a glass of water on the counter. These sweet, crunchy treats are perfect snacks or tossed in a salad or stir fry. A versatile staple in any summer pantry. Mild and sweet flesh with soft skin. Perfect roasted or sautéed. Add to soups or casseroles. Top with any sauce for a great noodle replacement.